I love Loft, http://www.loft.com/, for classic work wear, but it usually only fits my budget when the entire store is 40-50% off, including the sale and clearance racks. I finally scored those gray slacks I was seeking, on sale big time this weekend. I’m still having problems with most of my clothes being too big. It’s weird to worry about shrinking. 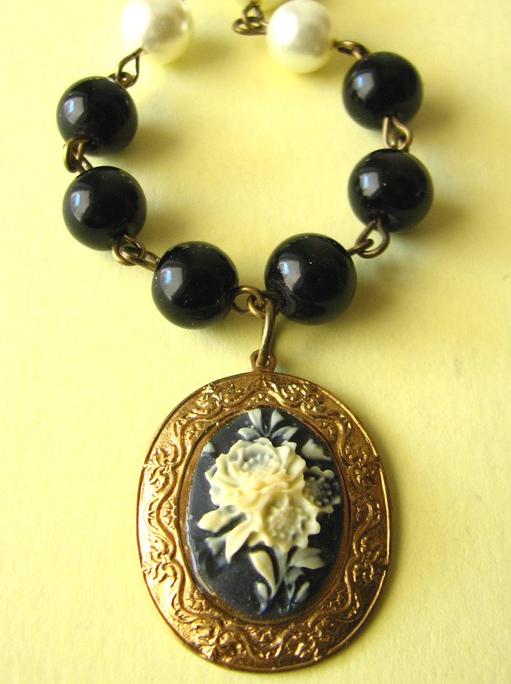 I bought this necklace last year from an Etsy shop, Zafirenia Handmade Jewelry, when I was in my flower jewelry phase. (Which I still am). 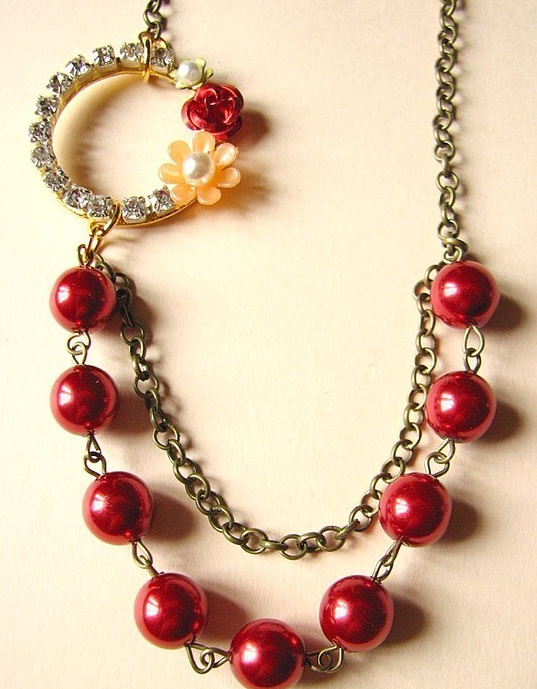 While she does make very beautiful bridal jewelry, she also makes wonderful vintage necklaces. 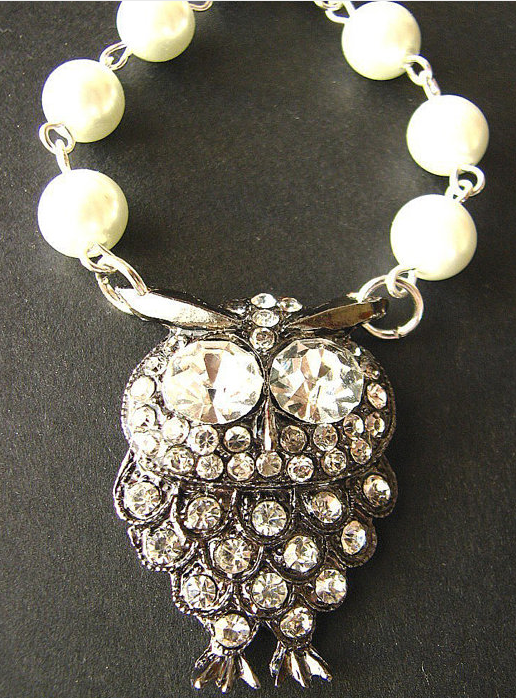 A fun take on classic pearls. What’s your fave Etsy shop?